The arms, armor, architecture, and customs of the Blades reflect their Akaviri heritage, most famously their distinctive Akaviri katanas and ceremonial armor. 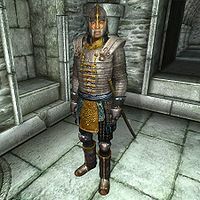 The order operated a number of secret strongholds across Tamriel which served as headquarters and sanctuaries, the most well-known being Cloud Ruler Temple in Cyrodiil, where the swords of those Blades who were slain while protecting the Dragonborn were hung. 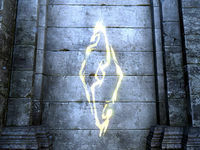 Other known strongholds include Castle Llugwych and Storm Talon Temple in High Rock, Sky Haven Temple in Skyrim, and Wind Scour Temple in Hammerfell. This page was last modified on 12 March 2019, at 20:35.